An exhibition of lanterns will take place on Saturday October 13th, from 5.45pm until 7pm at Christ Church Pitsmoor, Pitsmoor Road, S3 9AQ. 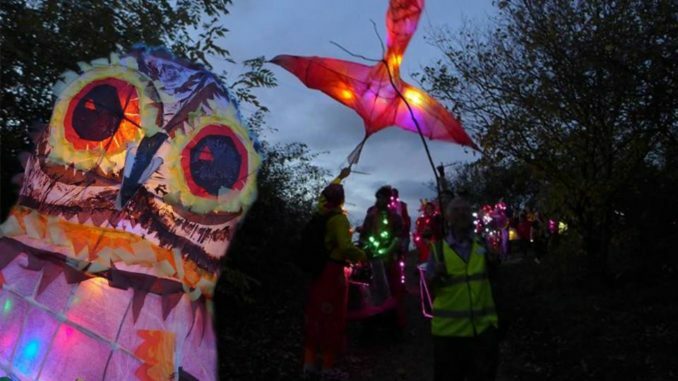 Lanterns on display will include those made at Patrick Amber’s workshops at Burngreave Chapel and the sessions for children at Pitsmoor Adventure Playground. It will be lovely to see them all lit up in the darkness. Do come along, and if you have made a lantern do bring it! People’s Kitchen Pitsmoor and Live Project students will also be at the exhibition where they’ll be sharing recipes, ideas about Pitsmoor and the People’s Kitchen. This event is in place of the Parkwood Springs Lantern Procession which has been postponed due to bad weather.